Amid searing temperatures across vast swathes of India, the Met department has predicted that the southwest monsoon will arrive a few days late at a time when the country expects a normal rainy season this year to relieve farm distress and revive growth in Asia’s fastest growing economy. The onset of the southwest monsoon over Kerala signals the beginning of the rainy season over South Asia. The June to September season normally starts on June 1. The Met department had said in its April 12 forecast that the monsoon will be 106% of the 50-year average rainfall, which would make 2016 the best season since 1994. A study by Indian industry lobby group Assocham has indicated that the drought may have cost the country some INR 6.5 trillion (USD 97 billion). Nearly two-thirds of India’s farms are irrigated only by rain, and half its population depend directly on agriculture, though the farm sector accounts for only about 15% of GDP. Drought would create inflationary pressures, making food management a challenge for policymakers, the report said. The private forecaster Skymet has backed up the Met department’s hopeful monsoon prediction. “El Niño is on decline now and is likely to become neutral sometime around June. This will lead to better monsoon conditions and we expect Monsoon 2016 to end up above normal,” Skymet said in a statement on May 12. 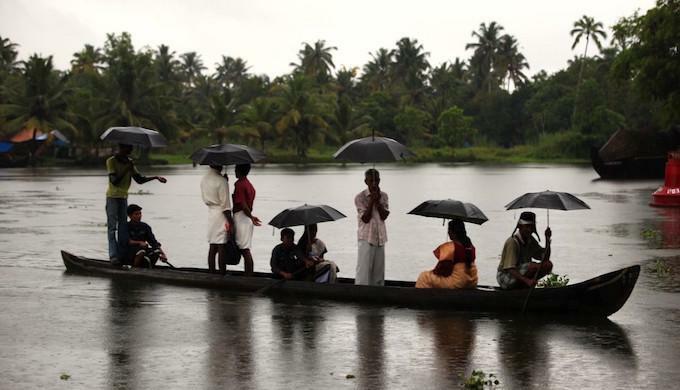 It expects the onset of monsoon over Kerala by May 30. A strong El Niño phenomenon, the warming up of the Pacific Ocean, is linked to poor rainfall over India. Climate change plays a big role in the increased frequency of powerful El Niño events, oceanographers and climatologists say. Besides cheering farmers, a normal monsoon will replenish reservoirs and mitigate a crippling water shortage in most parts of the country. India’s main reservoirs hold merely 19% of their live storage capacity, which is 37% less water compared with a year ago, the Central Water Commission said in its latest weekly update on May 12. The stored water has been rapidly declining in recent months. See: Low water reserves spell trouble for India. Better monsoon rains this year will improve India’s economic growth rate, the National Council of Applied Economic Research said on May 14. It is likely to have “a positive impact on agriculture and thereby the economy,” the state-funded think-tank said in its Quarterly Review of the Economy. Many economists have already factored normal rainfall into their forecasts, according to Bloomberg, a provider of financial data. The median of 32 economists surveyed by Bloomberg predicted 7.7% growth in the year to March 31, compared with the official projection of 7.75%. If the Met department’s prediction proves correct, India’s economy could grow by 8-8.5% in 2016-17, finance minister Arun Jaitley told investors in New York on April 19. “A higher number” for GDP growth is possible this year if the monsoon is strong, Anubhuti Sahay, head of South Asia economic research at Standard Chartered, a British bank with substantial presence in India, told Bloomberg. The expansion might be weaker than expected if rains disappoint or global growth slows down, she said. A healthy monsoon is critical for India because over 40% of the food production in the country depends on adequate and timely showers. The southwest monsoon that ends in September accounts for 80% of the annual rainfall. A good harvest in autumn thus strengthens rural consumption, providing a boost to the overall economy. Farm productivity and strategic investment in agriculture have stagnated across India in recent decades. NITI Aayog, the government’s think-tank, points to several important aspects of agriculture that need immediate attention to bring economic advantages to millions of farm families. The output per hectare, which is a common measure of agricultural productivity, remains low for many crops when compared with many other countries, it said in a December 16 paper. Farmers on an average do not get remunerative prices due to limited reach of the minimum support prices, the rate at with the government buys food grains, and an agricultural marketing system that delivers only a small fraction of the final price to the actual farmer, the study said. Despite recognising the main problems, little has been done to revitalise the Indian farm sector.